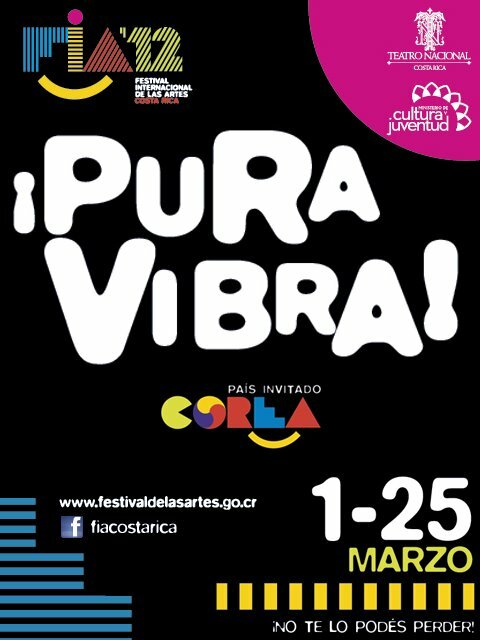 INTERNATIONAL FESTIVAL OF THE ARTS FIA 2012/COSTA RICA! It is with great joy that I announce my participation in the International Festival of the Arts, FIA 2012, in San José, Costa Rica. This will be my group’s first presentation in my homeland, in almost 20 years. We will be performing on Friday, March 23, at 8:00 PM, at the “Auditorio Nacional”. A possible second performance will take place on Wednesday, March 28, at a new venue belonging to the Universidad Latina, at the Paseo Colón, In San José. I will be traveling with my fellow band mates Jonathan Dane on trumpet, Tom Etchart on bass, George Friedenthal on piano and Narciso Sotomayor on guitar. Several dear Costa Rican musicians, will be collaborating with us, among them Checko D’Avila, Edín Solís and others. I am really looking forward to sharing my music with old friends and family once again! Hope to see you all!!! MY NEW EVANS DRUMHEADS ENDORSER PAGE!